There are several ways to learn a language – the old-school method of joining a class, using text books and other traditional study material, through immersion and speaking to locals exclusively in their language, or the more modern method of apps, like DuoLingo. But how do you go beyond the textbook / app? And how do stay in touch with the language once you’ve stopped the official learning process? As a language teacher, I’m often confronted with these questions and that’s when I thought a bot could come to the rescue! Most of my students are on Facebook (and thus Messenger) and spend several hours a day chatting. So if they could get language lessons through a chatbot, it would be a really easy way for them to stay in touch with the language and learn something new, right? A software that sits inside a messaging platform, like Facebook Messenger (amongst others), a chatbot can be programmed and taught to respond to users’ questions and to give them pertinent information. Often used by brands and organisation to answer repetitive questions from clients, chatbots have become very popular since their grand commercial debut at F8 in 2016. 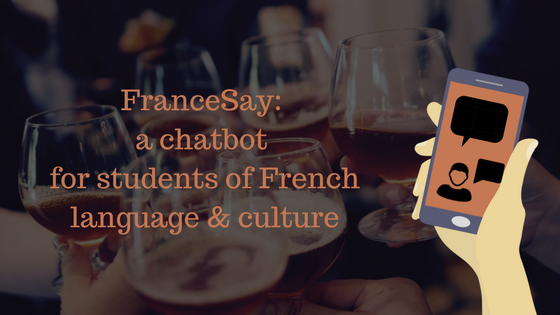 FranceSay will help students of French continue the learning process with small bite-sized learning modules. A few sentences at a time, to expand their existing knowledge of the language and discover unknown nuances, like how to comment during a football match, or how to strike a conversation at a party where you don’t know anybody. Students wouldn’t need to install a new app. All they need to do is get onto Facebook Messenger, and choose their level and a module of their interest to get daily lessons. For the really enthusiastic ones, there are exercises and even assignments that would be reviewed by a language teacher (me). 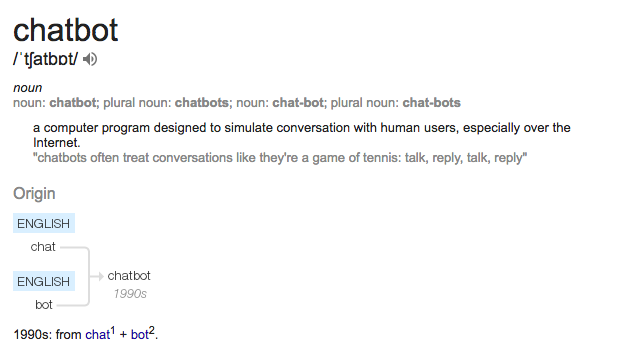 If you’d like to be one of the early users of the chatbot & help me tweak it, please fill this form. I will get in touch with you, as soon as the bot is ready for testing!